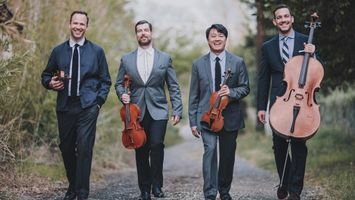 Now in their twentieth season, the Miró Quartet has appeared on the world’s most prominent concert stages earning both audience and critical accolades, as well as prestigious awards at several national and international competitions. Equally expert in both new music and the great works of the genre, the Miró is esteemed for its engaging performances and thoughtful programming. Presenting masterworks by Schubert, Janáček, and Beethoven, the quartet’s internationally acclaimed performances and recordings have been deemed “furiously committed” by The New Yorker.